View our great value offers for the last availability for spring 2019 trips! 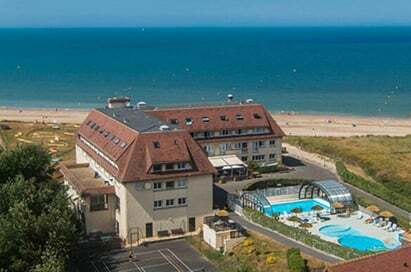 With its beautiful coastline and pretty seaside resorts, Normandy is a very popular destination for a school trip. 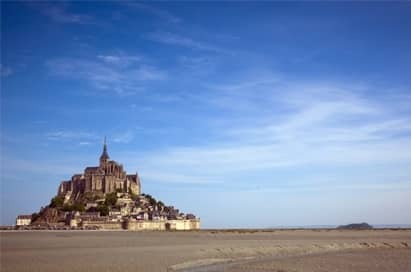 From the Mont St Michel to the D-Day landing beaches and the Peace Museum in Caen, there are plenty of excellent town and city excursions to keep your students busy. 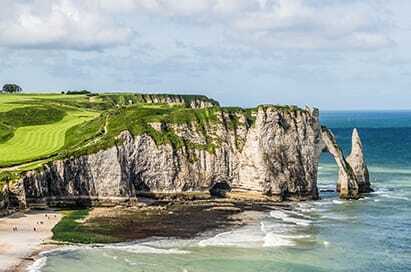 Normandy is a melting-pot of people and languages, a cross-roads where cultures and ideas, artefacts and produce, have met and mingled, giving it a rich cultural heritage. Here students can visit producers of many French delicacies from cheese and butter to cider and Calvados all made in the traditional manner. 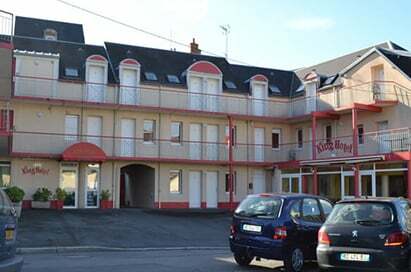 A great place to immerse your language students to enhance their language skills and deepen their understanding of teh culture of France. Depart by coach for Dover/Folkestone. Bread is such a symbol of France, so ingrained in the country’s traditions that to visit a boulangerie and queue with the locals is truly one of the great cultural experiences of France. 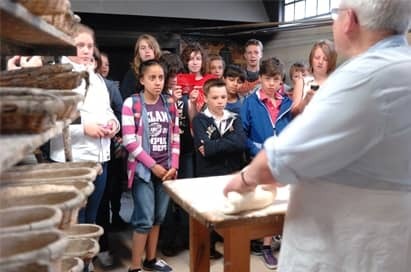 Take your group on a guided tour of a French bakery followed by a bread making workshop and French food quiz. 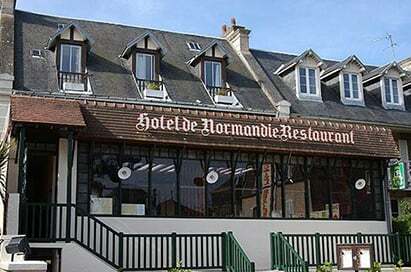 A genuine picture postcard of Normandy which is a significant cider producing region adorned with apple orchards and half-timbered houses. Cider and calvados producers are delighted to welcome you, to offer you a taste of their produce and an insight into their traditions, processes and skills. 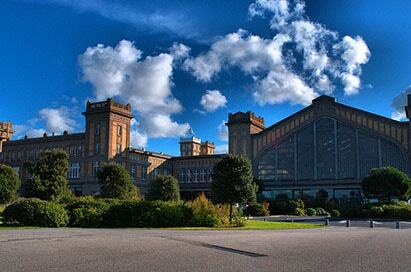 Featuring William the Conqueror’s tomb and the award winning Peace museum, this popular town should not be overlooked. In spite of severe destruction during WWII bombings, a number of ancient houses and buildings have remained, some of them going back to the 11th century. 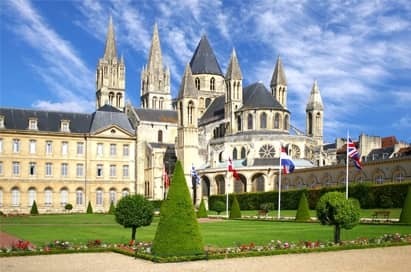 Caen has some great museums; the Museum for Peace, Museum of Normandy and the Museum of Fine Arts. High up on the cliffs above the invasion site lies Arromanches 360. 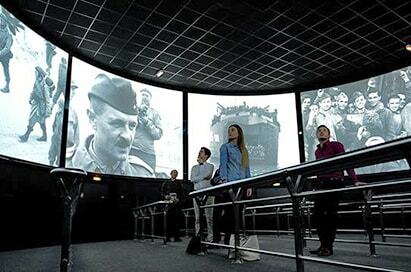 A 360 cinema experience plunges viewers into the heart of the fighting. The film is a tribute to soldiers from all countries and to the 20,000 civilians who were killed during this battle for the liberation of Europe, battle which gave rise to so much hope. Dedicated to the men of 6th Airborne Division the museum exhibits tell the story of the capture of the bridge over the Caen Canal which was vital to the success of the British airborne assault on D-Day. 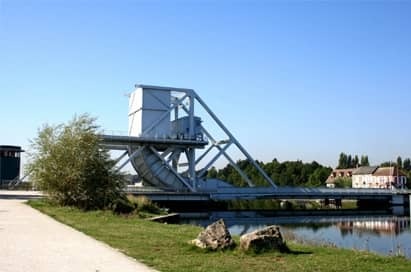 The original Bénouville Bridge, renamed Pegasus Bridge after the liberation, is on display in the park of the museum along with a Bailey bridge and a full size copy of a wartime Horsa glider.